The final day was a rather short day of poker as the final nine returned for the first €10,000 High Roller event on Season 10 of the PokerStars.com European Poker Tour. After the last hand was dealt, it was Thomas Muhlocker who was able to overcome a stacked final table to earn the trophy, the title, and the €390,700 in first-place prize money. The day began with the unofficial final table of nine returning to the tournament room, each vying for their own slice of poker glory. 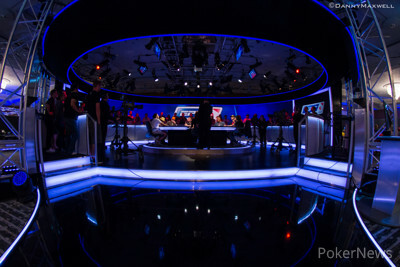 The final table was stacked with the likes of 2010 World Series of Poker Main Event champion Jonathan Duhamel, current WSOP November Niner David Benefield, recent EPT Barcelona Super High Roller sixth-place finisher Ole Schemion, and "KidPoker" himself, five-time WSOP gold bracelet winner and Team PokerStars Pro Daniel Negreanu. Negreanu's situation heading into this event was particularly interesting as, during his first bullet on Day 1, he disagreed so vehemently with a ruling that he ended up moving all in in the dark and essentially removed himself from play. He came back late in the day with his A-game, however, and pushed all of the way to the final table. The final table progressed quite rapidly with the first elimination coming fairly early. After a large confrontation with Ole Schemion, Raoul Refos was left crippled. He ended up all in from his big blind the following hand and was eliminated by Negreanu. Refos' elimination set in motion the official final table. Benefield was the short stack coming into the day and, despite doubling early, he was unable to move past the final eight. Benefield's tournament came to an end when he moved all in against Schemion before the flop only to find that he was dominated. Benefield failed to improve and he went bust in eighth place. The 2013 WSOP November Niner earned €47,850 for his finish. Schemion's hot streak continued as almost immediately after Benefield's elimination, Richard Yong opened with a preflop raise. Schemion three-bet him and Yong four-bet shipped all in over the top. Schemion snapped and rolled over the . Yong let out a chuckle, shook his head, and showed the . Yong found a glimmer of hope when the diamond-filled flop of hit the felt. Yong was unable to gain a fifth diamond, however, as the and finished off the board. He was eliminated in seventh place. It seemed that Schemion would be an unstoppable force at this final table, but Negreanu had a different plan. In a key hand that occurred just a few hands after Yong's elimination, Schemion kissed goodbye to most of his stack. Negreanu flopped top set and got it all in against Schemion's flush draw. Schemion did not improve and Negreanu took a commanding lead of the table. Schemion busted a little while later at the hands of Jean-Noel Thorel. Duhamel was the next to find nothing but felt in front of him. The 2010 world champion got all of his money in before the flop against Muhlocker but was unable to win the race to keep him alive in the tournament. After Duhamel's fifth-place bust out it was start-of-day chip leader Joni Jouhkimainen who fell next. Jouhkimainen's smaller pocket pair ran into the pocket aces of Thorel, and he was forced to settle for a fourth-place finish. Negreanu had dominated short-handed play and continued running over the table as play progressed. At one point, Negreanu held seven million of the nine million chips in play against his two opponents. 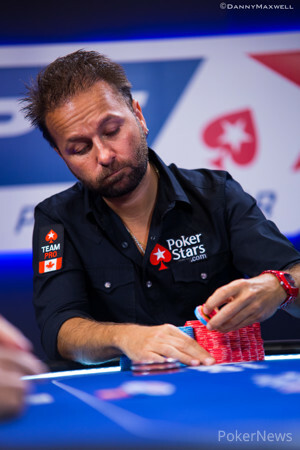 Negreanu gained even more chips when he scored the elimination of Thorel in third place. The flop read when Thorel shipped his entire stack into the middle. Negreanu snapped him off and showed the for a flopped straight. Thorel rolled over the for a flush draw and had hope of catching a heart to double up. Unfortunately for the Frenchman, the final two streets brought black cards and he was eliminated in third place. Negreanu had a massive chip lead going into heads-up play and it seemed like an almost certainty that he would take home the title. Muhlocker, however, had a different idea. Muhlocker was able to score his first double up when he held an overpair to Negreanu's pocket fours. Soon after, Negreau picked up pocket fours for a second time and four-bet Muhlocker all in once again. This time, Muhlocker picked up two nines and was able to hold and double into the chip lead. The match only lasted a few more hands and ended with Negreanu moving all in while dominated for the third time. The five-time WSOP bracelet winner was eliminated in second place and took home €263,800 in prize money. 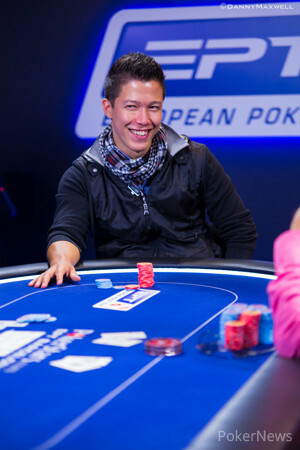 That does it for our coverage of the EPT 10 Barcelona High Roller. Thanks for reading along and be sure to catch up on the coverage of the Main Event which is still happening on the featured table stage. Until next time! From the button, Team PokerStars Pro Daniel Negreanu opened with a raise to 160,000. Thomas Muhlocker reraised out of the big blind to 405,000, and that prompted Negreanu to look down and count out how many chips he had. With right around 2.5 million, Negreanu reraised all in. Muhlocker snapped, and it was another all-in situation between the two. Muhlocker had the , which once again had Negreanu dominated. The five-time World Series of Poker gold bracelet winner held the . The flop came down , and Negreanu went from rooting for a queen to rooting for a jack to make a Broadway straight. Muhlocker's friends rooted for anything but the help Negreanu needed. The turn was the , and that didn't change a thing. "Well that card was absolutely no good," said Negreanu. "Jack or it's dinner time," he finished. The river completed the board with the , and that finished things off. Negreanu had missed, and it was a second-place result for him worth €263,800. With this result, it is estimated that Negreanu will earn a little more than 140 points for the Global Poker Index Player of the Year. The leader coming into this event was Paul Volpe with 814.81 points, and Negreanu sat in sixth place with 731.18. According to the GPI, Negreanu will now jump to over 870 points and take over first place by a solid margin. On the other hand, Muhlocker was all smiles as his rail congratulated him. For the victory, Muhlocker earned €390,700, the trophy, and a watch from luxury Swiss brand SLYDE, the official watch sponsor for Season 10 Main Events and High Rollers of the European Poker Tour. Daniel Negreanu had the button. He raised to 160,000. Thomas Muhlocker came over the top for 405,000 total and Negreanu announced an all in bet. Muhlocker snapped him off. "Again!?" said Negreanu, referencing the first time that Muhlocker doubled with an overpair into Negreanu's pocket fours. The board ultimately ended up giving Muhlocker a full house with and Negreanu was forced to relinquish his chip lead. He now has about 2.85 million to Muhlocker's 6.15 million. On the next hand after Thomas Muhlocker, doubled Daniel Negreanu raised from the button to 160,000, and Muhlocker reraised from the big blind to 400,000. Negreanu called. The flop was , and Muhlocker bet 275,000. Negreanu called. The turn was the , and Muhlocker bet 550,000. Negreanu folded, and Muhlocker won the pot. From the button, Thomas Muhlocker limped in. Daniel Negreanu raised all in from the big blind, and Muhlocker called off quickly for 1.345 million total. Negreanu had the , and Muhlocker had the . The board ran out , and Muhlocker doubled up. 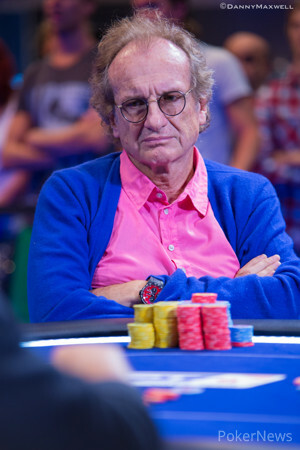 Jean-Noel Thorel completed from his small blind and Daniel Negreanu checked from the big blind. The flop came and Thorel announced an all in bet for around 900,000. Negreanu instantly called. 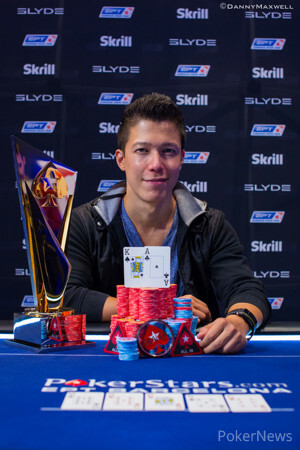 Thorel shipped all in with his flush draw into Negreanu's made seven-high straight. Negreanu needed to fade a heart to sent Thorel packing and thrust the tournament into heads up play. The bricked on the turn for Thorel and he was looking for a heart on the last community card. Unfortunately, it was the and Thorel was forced to settle for a third place finish. The fine (and confusing) art of deal making on show as Tom Middleton (and Jake Cody and Toby Lewis) try to cut a deal at the EPT Barcelona Main Event final table. 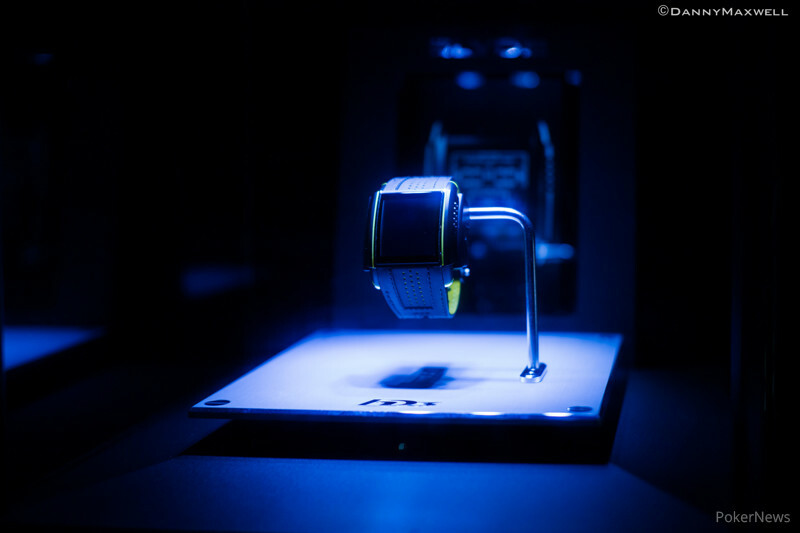 The PokerStars Blog takes a look as negotiations hit a loggerhead. Click through to read that article now.